As a custom wood manufacturer, we have the most diverse millwork, paneling, lumber, flooring, door, and cabinet options to choose from! With the endless amount of options you have to choose from, you'll be sure to walk away with the exact look you were envisioning! BRACKETS, TIMBERS, MANTLES, AND TRUSSES - cedar, pine (including live edge pine), reclaim, , & more! UNIQUE, CUSTOM WIDE PLANK FLOORING - visit our Balsam Wide Plank website to check out all of our flooring products! 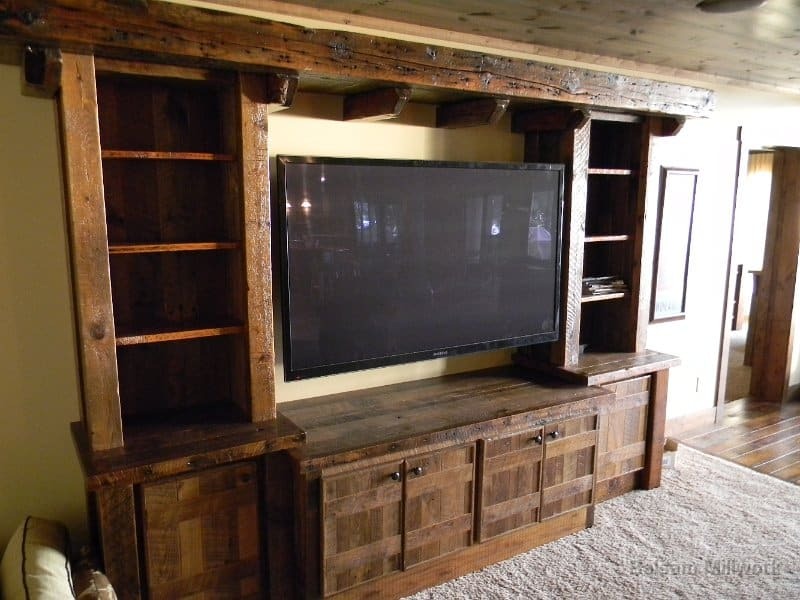 Balsam Millwork is a local custom wood manufacturer that has been around since 1997. We manufacture custom mouldings, paneling, stair parts, wide plank wood flooring, log & reclaim mantles, trusses, beams, interior and exterior doors, cabinets, furniture, and many other custom wood products. We have the largest, most diverse inventory of raw hardwood lumber, in both new and reclaimed, in St. Croix County and beyond. With each product customizable, your options are endless! And we ship nation-wide!